Tim Lee of Kennedy Lee Visual Communications is one of the best print designers I've ever worked with. In response to my announcement about joinging Longview Communications, he sent me this. Thanks, Tim! I'm delighted to report that I've joined Longview Communications Inc., a Vancouver-based consulting firm, as an Associate. After three years as an independent consultant and barbecue evangelist, it was time for me to rejoin the workforce. Much as I love the company of my wife Kate, it was quite isolating to work out of our basement office, and I'm thrilled to be a member of a team again. And Kate is finally free of having to listen to me on the phone, "droning on and on about barbecue and who knows what else," as she often put it. What a team I'm joining. In three short years, Longview founder Josh Pekarsky has built an amazing group of strategic communicators with a blue-chip client list and lots of exciting work. I'm continuing to serve my existing clients, but I'm also looking forward to new challenges. Yes, it means saying goodbye to coming to work in my pajamas, and yes, it also means taking an extended sabbatical from barbecue. But as I look out my 20th floor office window on the vibrant city around me and realize I'm back in the thick of it, I can't wipe the smile off my face. Say hello to Downtown Ronnie. Woo hoo! I also love southern-style barbecue. In fact, I have a whole other career going. As my alter ego, Rockin' Ronnie Shewchuk, I'm an international barbecue champion and author of the bestselling cookbook Barbecue Secrets. I mention this because, this summer, my two pursuits will come together when I host a pre-conference workshop at the IABC 2006 Intenational Conference in Vancouver. In this session (which sold out last month), entitled Everything I know about communication, I learned from my barbecue, I will share some organizational communications wisdom as I deliver a backyard cooking class peppered with barbecue secrets. If the June session goes well, I may take it on the road, or at least turn it into an annual Vancouver event. Dialogue in the Desert, meet Smokin' on the Coast. Barbecue is a great metaphor for communication. Food and information have a lot in common. Both require planning and preparation, both are best when delivered with impact, integrity and style, and both can be terrible when not done right. Championship barbecue also relates to corporate teamwork. I recently launched Barbecue Academy, an all-day corporate teambuilding workshop in which participants learn the secrets of competitive barbecue. The first session, held in November for a Calgary-based oil company, was a great event. We split the group of 40 managers into teams of three or four, with each team cooking ribs and chicken. At the end of the day, entries were judged according to Kansas City Barbecue Society rules, and trophies were awarded to the winners. For an idea of what one of my cooking classes is like, check out this egullet.org report on a barbecue class I delivered at the Mission Hill Family Estate Winery on Father's Day 2005. Welcome to For Your Approval. FYA is a blog for everyone who has the sometimes thankless and always challenging task of communicating with the employees of an organization. The goal of this blog is to make your job a little easier -- or, at the very least, to give you some interesting stories, some practical tips and some food for thought, and maybe even some ideas to help you cope in the corporate world, where sometimes trying to communicate with employees can be a Kafkaesque nightmare. Why me, and why now? I've been working in this field for over 20 years. I've spoken at conferences, written in the trade press and counselled large corporations. 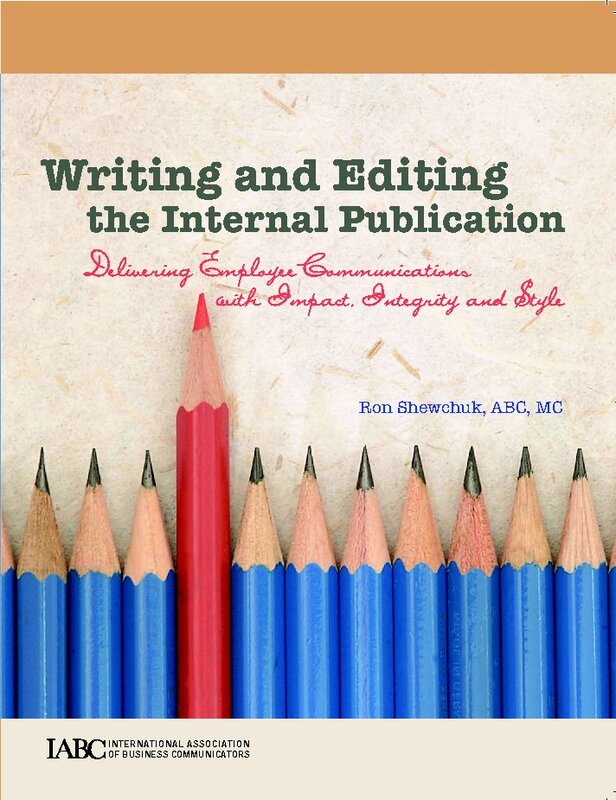 In January my handbook, Writing and Editing the Internal Publication: Delivering Employee Communications with Impact, Integrity and Style, was published by the International Association of Business Communicators. So it's time for me to blog. I follow in big footsteps. 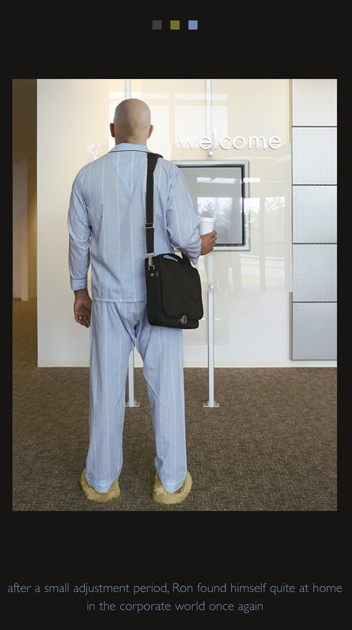 My old pal, Steve Crescenzo, has the best blog on employee communications, the hilarious and often insightful Corporate Hallucinations. No one can compete with Steve. What I hope to do is add another voice to the blogosphere, maybe sing some harmony, maybe provide a diversion while we're all waiting for Steve's next post. Sometimes, I might even pee in his beer. But no matter what I write here, he will always be there, lurking, looming, the Uncle Fester of employee communications. While I'm at it, I should also acknowledge two other important people in my life: my favorite guru and host of the For Immediate Release podcast, Shel Holtz, who encouraged me to start up this blog, and whose pioneering work informs and inspires everyone working in this field today, and David Murray, my longtime friend and editor, whose elegant prose is a model for anyone who aspires to be a blogger -- or a writer of any kind, for that matter. I hope For Your Approval will be a forum in which you can ask questions, raise issues, vent, joke, laugh, cry, confess your sins and share your salvations with me and the readers of this blog. If this thing works the way I hope it will, soon you and I will be part of a new community -- an addition to the web-enabled, blog-happy, pod-savvy "social network" that is changing the way people share information. So, let's start the conversation.